Pixma MP272 is an inkjet all in one intended at the home user, it gives good quality prints and scans with a light duty cycle. At a maximum resolution of 4800 x 1200 dpi, the prints from Canon Pixma MP272 are of good quality with borderless printing also being an option. It comes with a 2 ink cartridges setup, with the black cartridge capable of 244 pages and colour cartridge capable of printing up to 220 pages. Both the cartridges are of the pigment variety and not dye based. Due to the low print capability and higher cartridge pricing, the compatible Canon Pixma MP272 ink cartridges are vastly prefered for the printer. The speed offered by the device ranges from 8.4 ppm for monochrome and 4.8 ppm for coloured printouts. This lightweight and compact printer comes with a input feeder tray of 100 pages. The scanner is a tablet type, with 1200 x 2400 maximum resolution, which can be enhanced up to 19200 x 19200 dpi. The enhanced scanner resolution, high quality colour printouts give it good capabilities. But the lack of connectivity as well as a low cartridge life and monthly duty cycle restrict its usage to personal. It comes with an average software bundle includes easy webprint EX and ChromaLife100+ technology, the former makes printing from internet easier and the later one helps to enhance the print durability. This is a printer aimed squarely at the personal home and student user. While the print quality is good, the light duty cycle and lack of connectivity options make it suitable only for home and educational purposes. What to do if printing becomes faint or colours are incorrect of your Canon Pixma MP272 printer? If the print results are blurred and colours are not printed correctly on the document, the reason may be clogged print heads or dried out Canon Pixma MP272 ink cartridges. Follow the procedure below to print the nozzle check pattern and clean the printheads if the print quality is found poor. Also if the printed or ruled lines are misaligned or the print results are not satisfactory, aligning them may improve the quality. Note: Before performing maintenance, Check if ink remains in the cartridge. Check the ink status. Also Check if the FINE cartridges are installed correctly. See the replacing procedure from manual. Check if the orange protective tape on the bottom of the Canon Pixma MP272 ink cartridges is removed. See replacing procedure for more details. If the alarm lamp lights or flashes orange, refer to troubleshooting in the on-screen manual and refer advanced guide for it. Step 2: Clean the printheads. If the problem is still not resolved after cleaning the print head twice move to further step. Step 4: Replace the Canon Pixma MP272 ink cartridges, if the print quality is still not improved after cleaning the print heads after 24 hours. Even after replacing the cartridges, if the print results are not improved contact the customer care services. Q. Will I receive ink cartridges when buy a Canon Pixma MP272 printer or do I have to buy Canon Pixma MP272 ink cartridges separately? A. You will receive a pack of starter ink cartridges that are made specially for the installation of the printer, when you buy a new Canon Pixma MP272 printer. When you install ink cartridges in the printer for the first time, ink is charged into ink heads. You can buy more ink cartridges when the starter ink cartridges run out. You will find a range of Canon Pixma MP272 ink cartridges on our website. A. Canon Pixma MP272 printers measure about 450mm in width, 335mm in depth, and 155mm in height. They are quite lightweight, weighing around 5.6kg. Q. How do I replace the ink cartridges of my Canon Pixma MP272 printer once they are empty? Open the Paper Output Tray, lift the scanning unit and hold it in place with the scanning unit support. The ink cartridge holder will move into the replacement position. Remove the empty ink cartridge by pinching the tabs and opening the Ink Cartridge Locking Cover. Take out the new ink cartridge out of its packing and remove the orange protective tape. Insert the new ink cartridge into the cartridge holder and close the cover to lock the cartridge into place. Slightly lift the scanning unit to set the scanning unit support back into place. Gently close the scanning unit and the Paper Output Tray. Q. What is the maximum speed at which this printer is capable of printing? A. Canon Pixma MP272 printers are capable of printing black and white pages at a speed of 8.4 pages per minute and coloured printouts at a speed of 4.8 pages per minute. Q. When can I expect delivery of Canon Pixma MP272 ink cartridges by? A. If you place an order for any of our products before 12 noon, the order will be delivered to you in 1 - 2 days. However, if your order is urgent and you require it before the standard delivery, contact us on 048 30833221 and we will try our best to deliver the product to you as fast as possible. Q. The Canon Pixma MP272 ink cartridges I’m currently using are PG510 and you're suggesting PG512. Is there any difference and which are more suitable? A. Yes, there is a difference between the PG510 and the PG512 cartridge. The PG512 ink cartridges are high capacity ink cartridges and are compatible with Canon Pixma MP272 printer. They can be used as a longer-lasting alternative to PG510 ink cartridges as the contain more ink. Q. 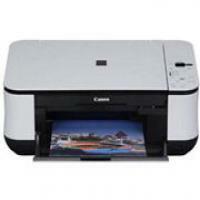 What are the advantages of using the Canon Pixma MP272 printer? Q. I was replacing my Canon Pixma MP272 ink cartridge, but the cartridge doesn’t seem to work. Is the cartridge empty or there is some other problem with these cartridges? A. If you are experiencing problems with your Canon MP272 ink cartridge, firstly I advise you to turn the printer off and remove the Canon Pixma MP272 ink cartridge. Gently wipe the cartridge contacts and the contact point inside the printer using a lint free cloth. Re-insert the cartridge and turn on the printer. If the problem persists then contact the supplier of the cartridges. Q. What is the maximum printing speed of the Canon Pixma MP272 printer? What is the maximum resolution offered by the printer? A. The maximum printing speed of the printer is 8.4 impressions per minute in case of monochrome printing and 4.8 impressions per minute in case of colour printing. This printer takes only 45 seconds to do the photo printing of a 4 in x 6 in photo. The maximum resolution offered by the printer is 600 x 600 dpi in monochrome mode and 4800 x 1200 dpi in case of colour. Q. Are Canon Pixma MP272 ink cartridges eco-friendly? How? A. Yes, these ink cartridges are in essence, eco-friendly. They are recycled from original cartridges and very little raw material like plastic is used in their manufacture. That translates into less e-waste generation besides their ability to handle high volume printing and need for little ink while printing, which have a good impact on the environment. Q. What are some of the things I should take care of while replacing ink cartridges from my printer? A. Firstly, ensure that your replacement cartridges are handy before you start. You need to install the new cartridges straightaway after removing the old ones and ensure you do it keeping the printer on. Shake the cartridge or pat it gently on a hard surface to prime the ink. Do it before removing the protective tape present on it. If there’s a protective plastic pull tab or a plastic clip, remove it carefully before installing the cartridge. You may also find a gold contact or a metal contact chip on your cartridge, which you shouldn’t touch at all while installing the ink cartridges. Q. Do I need to align the printhead manually in case of patchiness in printouts or can it take place automatically? A. You can perform the automatic print head alignment; manual alignment is not the only way out. Q. My Canon Pixma MP272 ink cartridges are nearing the expiry date and I still haven’t used them. Can I use them now or discard them for betterment of my printer? A. It’d be better to discard the ink cartridges at this point. Using them after the expiry dates is not recommended as they can create problems in getting printouts. Their nozzle heads usually turn dry and get clogged as the expiry date nears. From next time, please check the expiry date and then buy them so you your money doesn’t get wasted. Q. I need to replace the old Canon Pixma MP272 ink cartridges with new ones. Anything I need to note so there are no problems ater doing it? Is there any procedure to be carried out in between? A. You don’t have to perform any operation after removing the old ink cartridges from the printer. You need to install the new ones immediately otherwise the printer can develop problems in printing. In fact, you ought to keep the new cartridges handy and ready to install before you start the process. Q. Does the temperature of the environs matter with respect to storing ink cartridges? I work in very chilly conditions. Is it fine for my Canon Pixma MP272 print cartridges? A. Printer ink cartridges ought to be stored at room temperature. Avoid placing the ink cartridges in areas that are very hot as that plays havoc with ink. Storing extra ink cartridges in the vacuum sealed pack they come packed in is recommended as it prevents the ink’s exposure to air to a large extent. Q. I ordered for Canon Pixma MP272 ink cartridges and they arrived from another city. However, when I installed them, they refused to print. What should I do now? Please suggest. A. Like most products, ink cartridges are also kept in different situations throughout the time of handling till their delivery. As a result, ink of the cartridges tends to settle at the opposite end of the cartridge, which hampers with smooth printing. Therefore, before using the ink cartridges, they should be kept standing erect for some hours so that the ink moves to the bottom of the cartridge to overcome this problem. Q. Can I count on Canon Pixma MP272 ink cartridges for heavy use and also yield fine quality printouts? A. Yes. The Canon Pixma MP272 print cartridges are created to withstand high volume use. It is capable of producing crisp text and black graphics while being economical with consumption of ink. Q. I bought new Canon Pixma MP272 ink cartridges recently. When I saw them closely, I noticed they are slightly different in size. What’s the reason behind it? A. Compatible cartridges are usually slightly bigger than the normal ones as the former come secured with a protective clip, which has to be removed before installing them. Also, compatible cartridges cannot be an exact replica of the original one for copyright purposes. Their performance is overall the same as that of the original ones.